Travellers shall count on closings between Tuesday, 26 March 2019 and Sunday, 31 March 2019 due to traffic engineering works for capacity extension in M0 – M5 interchange. 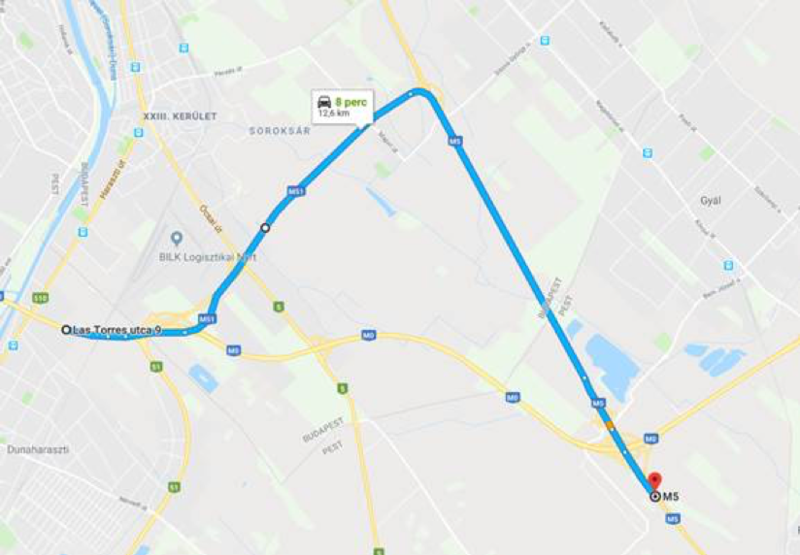 Afterwards, travellers arriving from the southern section of M0 can use two traffic lanes for entering M5 motorway towards Szeged. 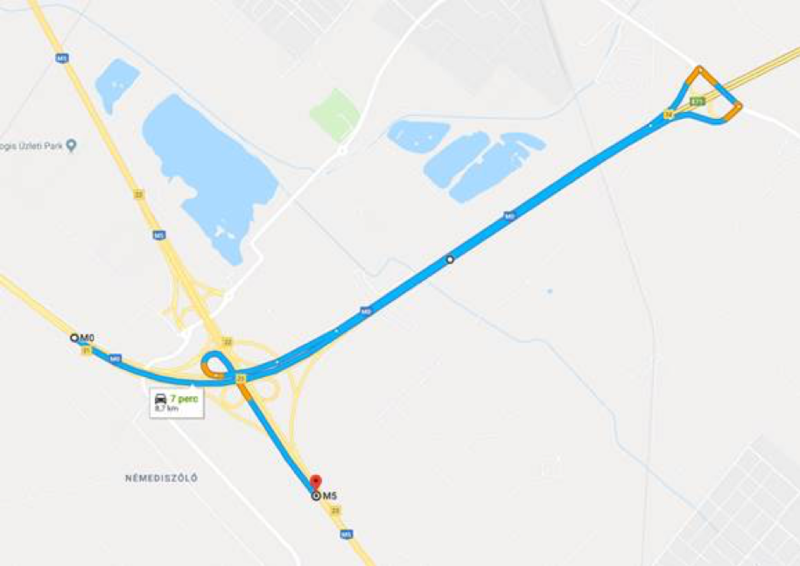 Travellers arriving from the direction of Szeged on M5 motorway, will also be able to use two traffic lanes towards M0. Therefore, there will be less traffic congestion here at bigger international feasts and holidays and also in general. For the new traffic order the road markings shall be removed, new road markings shall be implemented, traffic signs shall be exchanged and exchanging the pavement of the slow lane on M5 motorway is necessary. 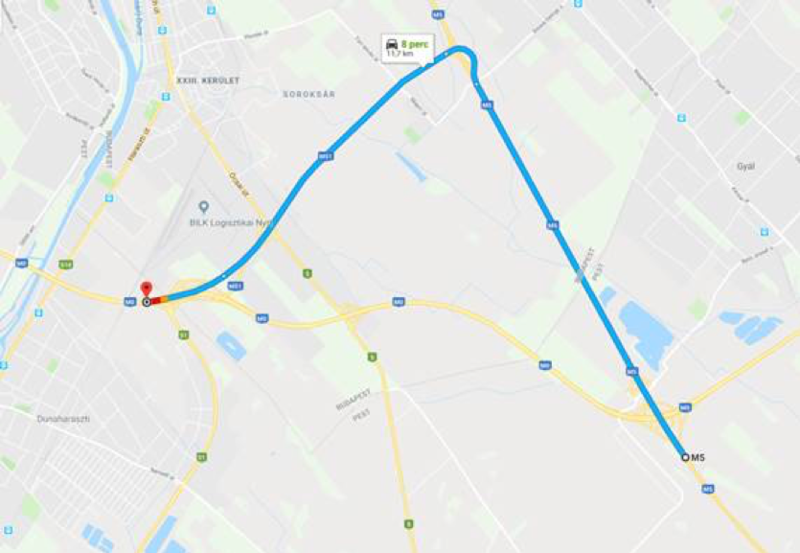 Therefore, travellers arriving from Szeged direction cannot enter the M0 from M5 motorway at km section 23 between Tuesday, 26 March 2019 and Thursday, 28 March 2019. There will be also temporary lane closures at the closed interchange. 1. Travellers travelling towards M1 motorway can reach the southern section of M0 by passing by the closing using M51 motorway. 2. 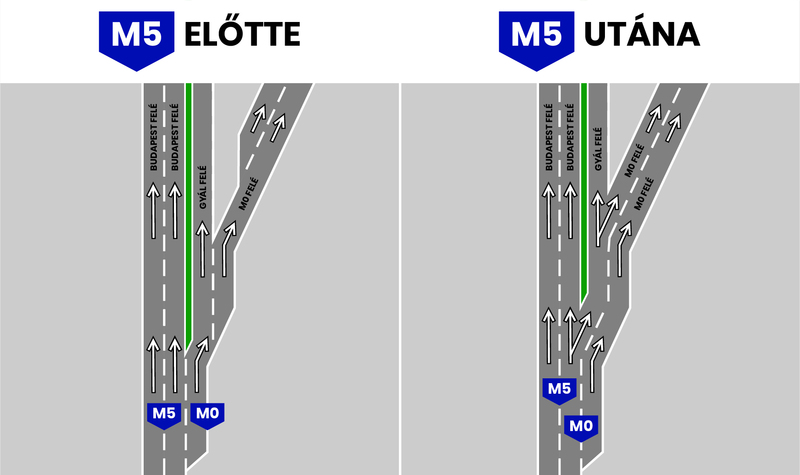 Travellers travelling towards Liszt Ferenc International Airport, M3 motorway or Gyál, can reach the southern section of M0 also by passing by the interchange on M51 motorway. 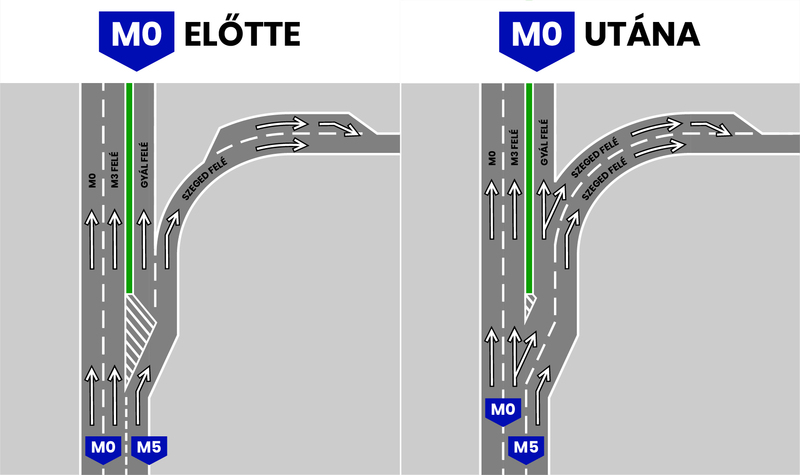 Light vehicles arriving from M5 motorway can reach M0 towards both directions leaving the motorway at Üllő, then heading Gyál. Travellers arriving from the southern section of M0 will not be able to leave the motorway at M5 interchange from 22:00 Saturday, 30 March 2019 to Sunday evening, 31 March 2019. There will be also temporary lane closures at the closed interchange. 1. Travellers travelling towards M5 motorway on the Southern section of M0, can leave the motorway at km section 23 and enter M5 motorway throughout M51motorway. 2. Or travellers can travel further at the closed interchange until the next interchange at km section 34, where they can enter the M5 motorway from the opposite direction. Magyar Közút Nonprofit Zrt. asks for the patience of travellers during the works, the capacity extension serves their interests in short- and also in long term. Travellers are advised to inform on the website of the road manager, Útinform on www.utinform.hu about the actual traffic.